A lot of boxers seem to go a bit ripe in their old age—possibly something to do with being repeatedly hit over the head with leather-bound lumps of bone and meat. But somewhere in Tony Burns’ bruised peach of a brain the secret to sporting success lurks like a lucky maggot. 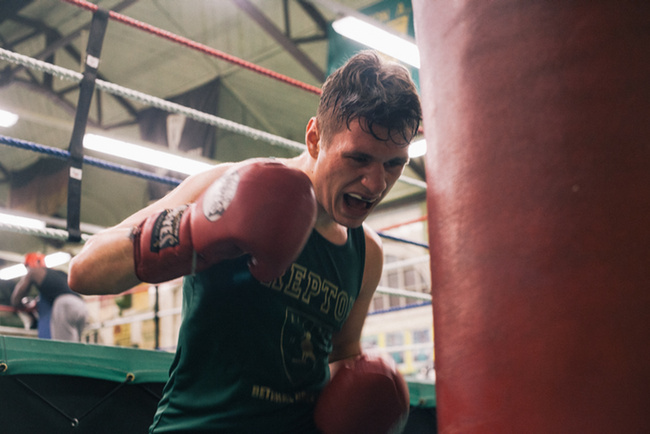 Of all the amateur boxing clubs across Britain claiming to be ‘the Home of Champions’, the Repton is arguably the only one with the right to the title. Over the years the club has turned out hundreds of champions—and Tony Burns has personally coached over two hundred of them. From the outside the Repton doesn’t look like very much: a slightly depressing pile of bricks tucked away off Brick Lane that could easily be mistaken for a public toilet. Which, in a way, it once was—inside, the high ceilings, tiles, and elegant arches make the building’s past life as a Victorian Bathhouse known. 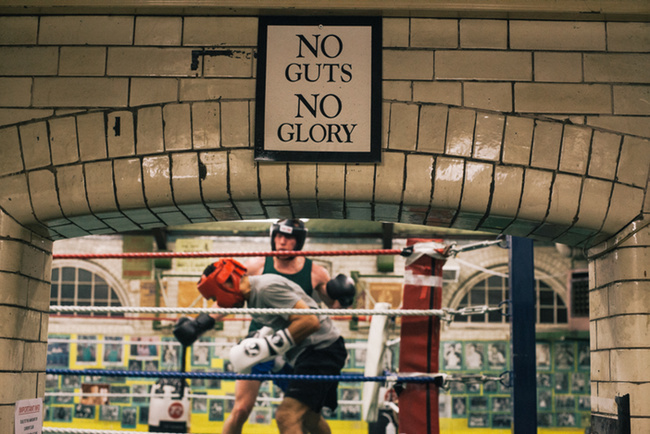 The raised ring in the middle must be an inspiring, slightly intimidating, place for a young boxer to train. From all four walls, rows and rows of the club’s past heroes grin down. There’s John H. Stracy, one time welterweight champion of the world with 37 knockouts to his name; Olympic gold medallist Audley Harrison; a pair of former middleweight world champions, Maurice Hope and Darren Barker; Andy Lee who, as the current middleweight world champion, is the first Irish Traveller to hold a world title; Ray Winstone, the tough guy actor who, as a Repton boy, won 80 out of 88 fights; and there of course, perhaps most intimidating of all, are the Kray twins. Ronnie and Reggie Kray are two of the East End’s most infamous sons. For their record of arson, robbery, extortion and murder, most remember them as ruthless gangsters. They once reportedly stabbed a rival so many times his liver fell out. So they flushed it down the toilet. Others remember them as community heroes. Aside from the odd spattering of guts and gore, the story goes, they kept the streets clean and the kids safe. 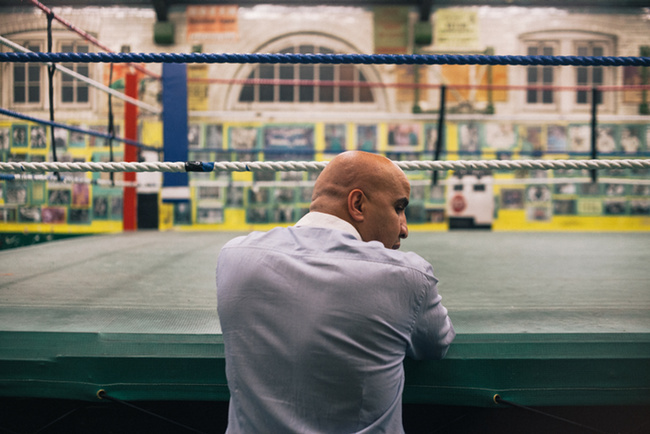 Whatever they went on to be—heroes or villains—they started off as boxers and trained at the Repton. Tony remembers them as “nice fellas”. 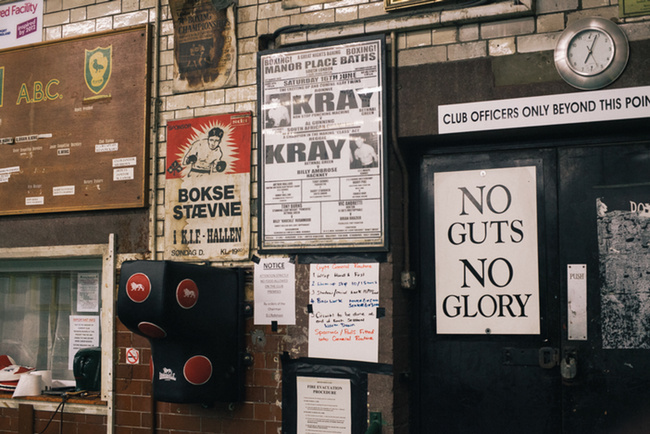 The story of the Kray twins hints at the somewhat disquieting reality that lurks behind the Repton’s great success. “Around here,” Tony has stated in the past, “there are two things for a working-class kid to do: steal or box.” The situation is not quite as bleak as that, but there’s no doubt that for a lot of kids in the club’s catchment area opportunities are limited. Tower Hamlets, the London borough within which the Repton resides, has the highest rate of youth poverty in the UK, and, thanks to cuts to government funding, youth clubs in Britain have been closing at a rate of about a hundred per year for the last few years. The Repton is one of the few remaining beacons of hope. The Repton’s reputation has not always been so right on. It’s sometimes said that boxers are colour-blind. Or, at least, that the only colours they care about are the reds and greens of blood and money—but at the Repton this has not always been the case. 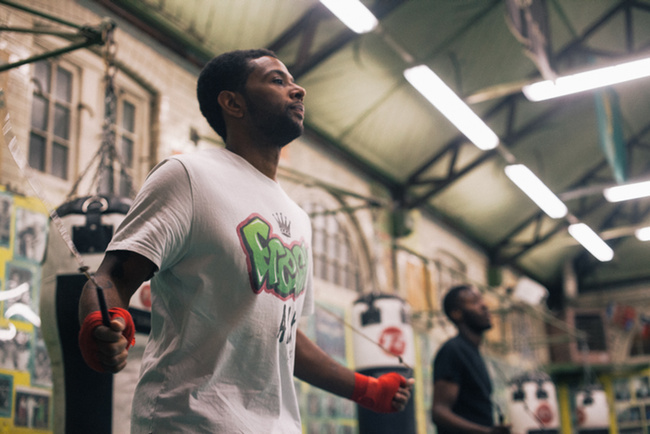 Thanks in part to the determination of kids like Maurice, who fought and argued for his right to a place in the ring—and went on to become schoolboy champion, and then world champion—attitudes slowly changed. 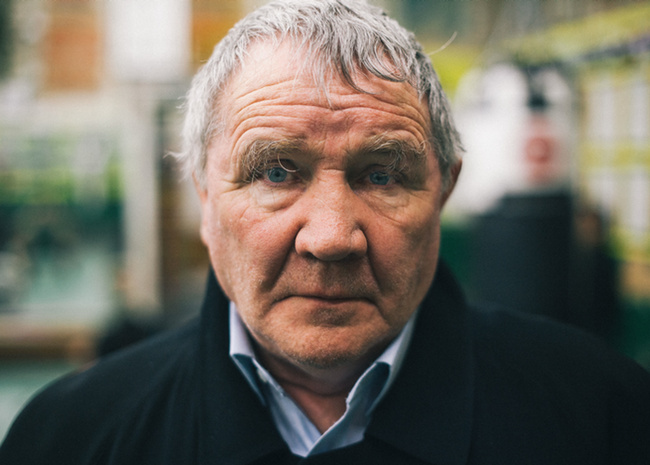 East End boy made good Ray Winstone, who came to the club a generation or so after Hope, has spoken in the past about just how important this was.